Remove usernames, passwords and OTPs from the user experience and elevate your login to WOW! The world is going passwordless. With patent-pending anti-replay tech and a passwordless approach that stops phishing and credential stuffing bots in their tracks, enjoy security and a login experience so simple users don’t want to work around it. Free your teams from the tyranny and expense of password resets, high-maintenance hardware tokens and time-consuming user training. Plus, with zero password reset calls, your help desk is about to save serious money. 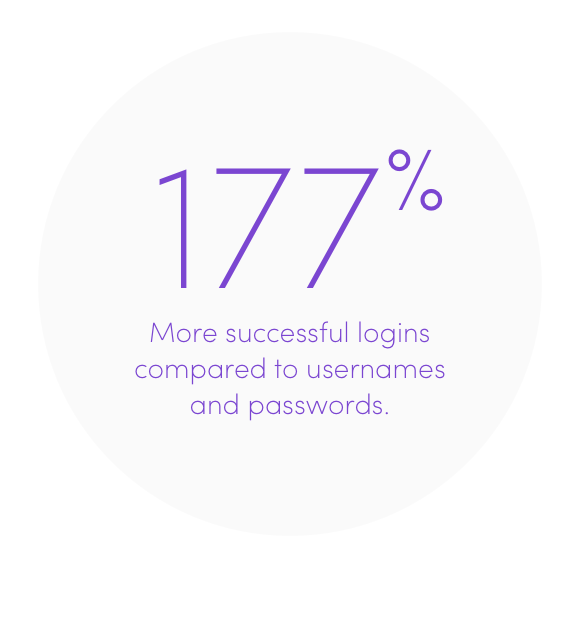 With 177% more successful logins, your users will get to what they’re doing faster and more securely. With a secure user experience (UX) that people freely choose, you can stop the hostile adoption emails and costly training. See how you can employ passwordless auth across your entire organization to achieve a consistent and standardized experience for your employees, customers and partners. Watch the video that started the passwordless revolution. Finovate Best of Show winner. Twice. 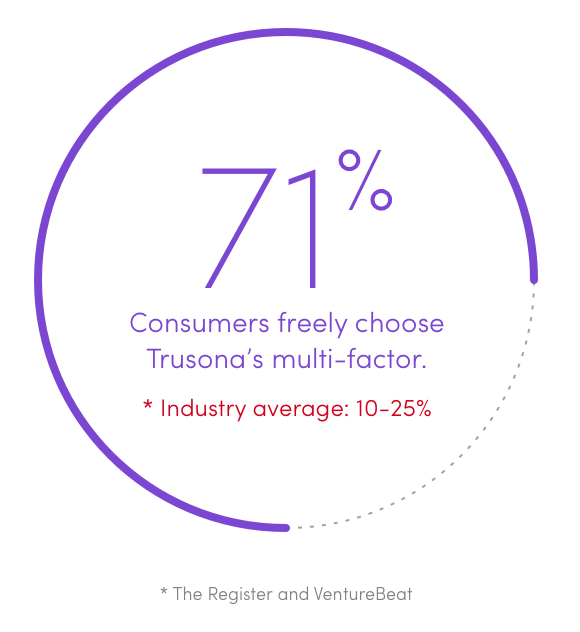 In a behavioral study conducted by research champ, Blink, Trusona’s passwordless logins passed with flying colors (mostly purple).